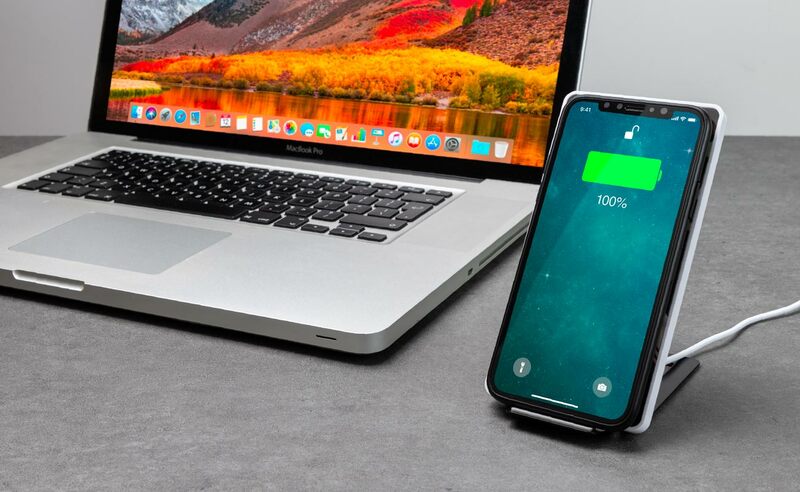 In our latest post, we cover the most frequently asked questions about Wireless Chargers and how you can use them for both business and personal use. How do Wireless Charges work? Wireless Chargers, also known as Inductive Chargers, allow you to charge your smartphone without the use of any cables. You simply place your compatible smartphone onto the wireless charger to begin the charging process. The Wireless Charger does need to be plugged into a power source. What devices can be Wirelessly Charged? Wireless Chargers are not compatible with all smartphones. 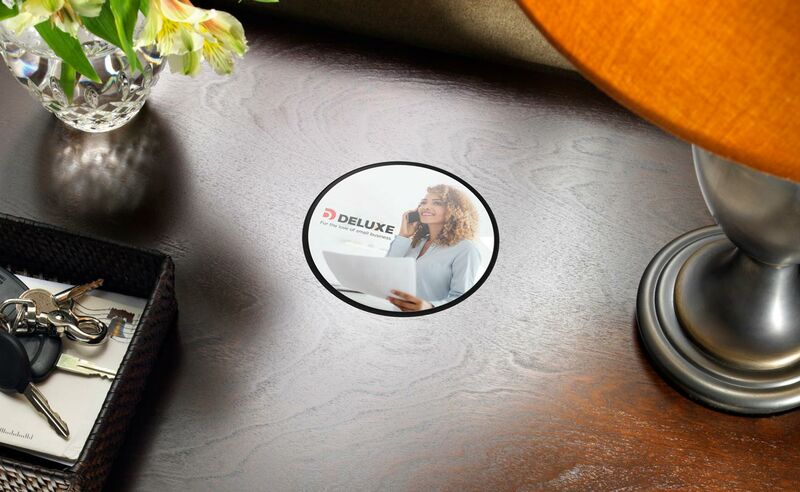 You must ensure that your smartphone device has built-in Qi wireless charging capability. Or, you can purchase a Qi-enabled case for your smartphone which will give your phone wireless charging super powers! Do Wireless Chargers work with cases? In most cases Yes. 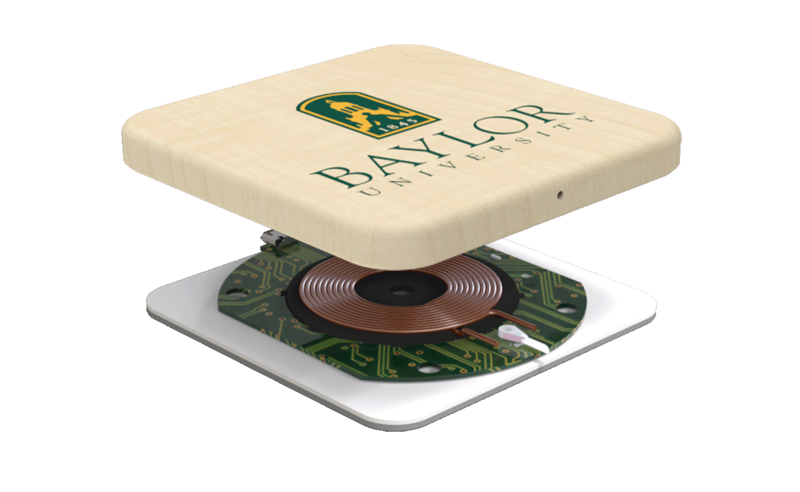 The Wireless Power Consortium states that Qi wireless charging detects your devices at up to 45mm. This means even with a thick phone case your Qi enabled smartphone will still charge. However be advised that this may not be the case when using a phone case made from metal. Are Wireless Phone Chargers safe? Yes they are very safe to use. The electromagnetic field generated by Wireless Chargers only generate a very small amount of power and only operate over short distances. 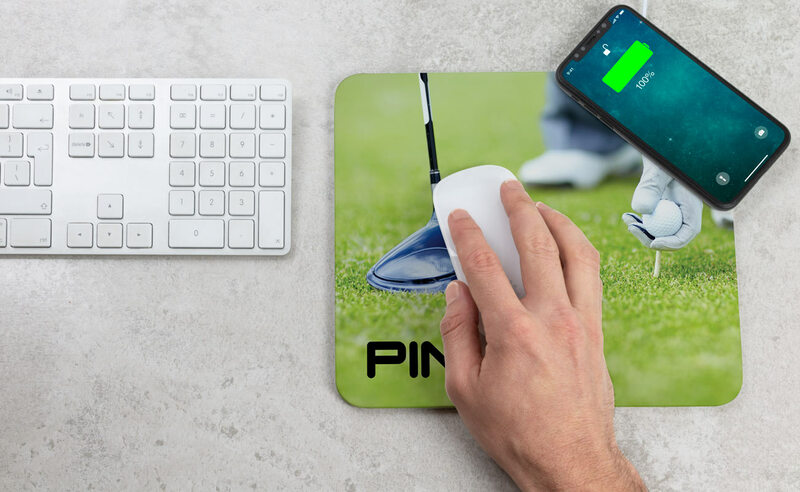 Do Wireless Chargers make good Promotional Products? You bet! 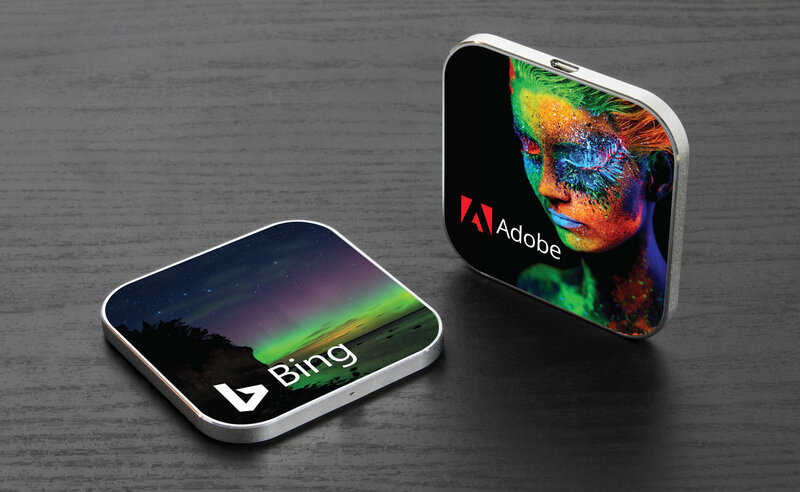 Wireless Chargers make great promotional products due to their large branding areas and because they are used on a daily basis. 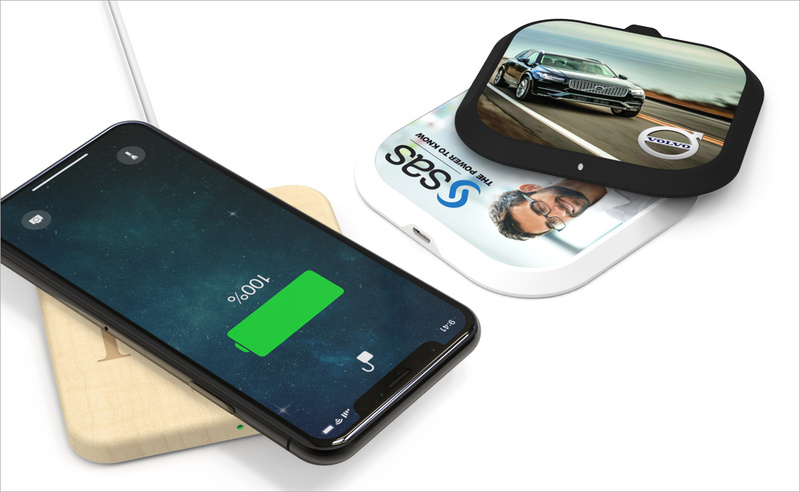 By branding your Wireless Charger your Customers and Clients will see your company’s logo every time they charge their phone. 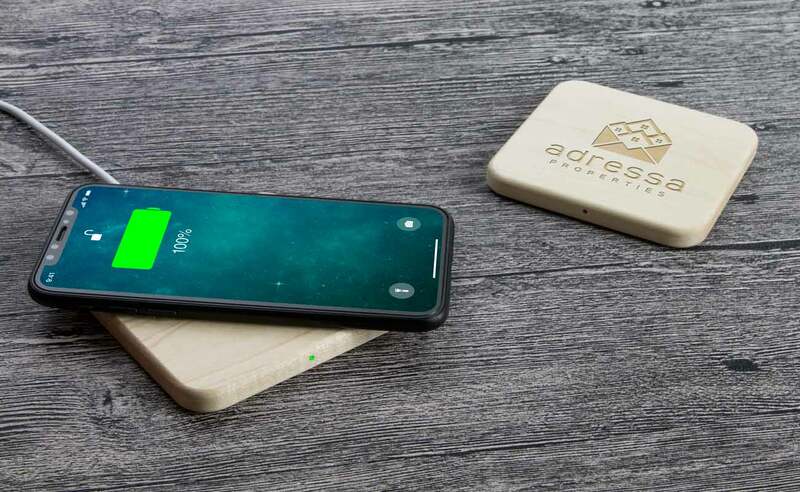 What styles are available for Wireless Charging? There are many different styles of Wireless Charging to choose from, this really comes down to your personal preference and business needs. 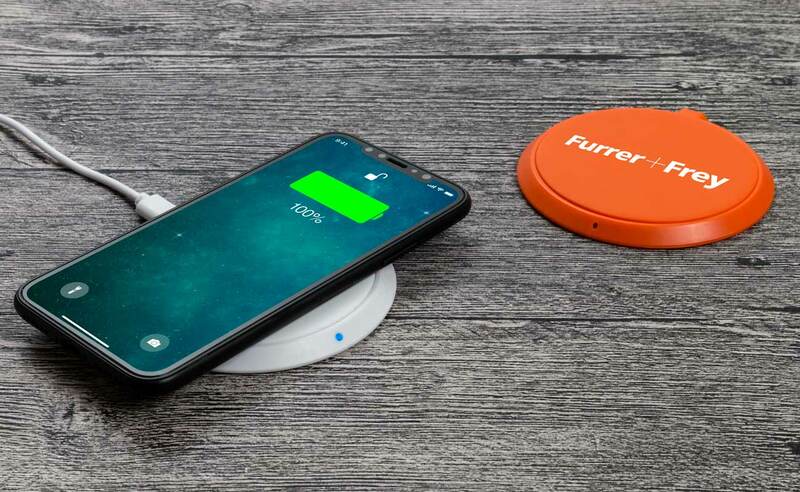 Do you have a favourite Wireless Inductive Charger design? You can view more unique Wireless Inductive Chargers on our website , where you can also request a quote .